The income tax you’ve to pay depends on your ‘Net Income’ or ‘Taxable Income’ which is arrived at after subtracting various deductions provided under Chapter VIA (i.e., Section 80) of the Income Tax Act from the ‘Gross Total Income’ (GTI). Therefore, the first step in calculating your income tax liability is to know your Gross Total Income. So, you need to first compute your taxable income under each head of income separately. STEP-2: Give effect to Set-off and carry forward of losses of current year and earlier assessment year (if any) as provided under section 70 to 74 of the Income Tax Act, 1961. STEP-3: Total the head-wise end-results and you’ll arrive at GTI (Gross Total Income). STEP-4: Deduct various tax deductions / concessions available to you under section 80 including 80C, 80CCC, 80D, 80E, 80DD, 80E, 80G, 80GG and 80U. Check out the details at Section 80C tax-saving options and Deductions available u/s 80 other than section 80C. The resultant figure is your Taxable Income. STEP-5: Finally, this net taxable income has to be rounded off to the nearest Rs 10 as per section 288A. Based on this ‘Taxable Income’ you can calculate your tax liability as per the rates given in relevant Finance Act. Let’s consider another example to clarify the concept of set off and carry forward of losses. Suppose that in addition to the above income you’ve short term capital loss of Rs 32,000 and long term capital gains amounting to Rs 20,000. Therefore, your net loss under ‘Capital Gains’ is Rs 12,000. Now, as per section 71, losses under the head ‘Capital Gains’ can not be set off against income under any other head; however, allowed to be carried forward to the next assessment year. Therefore, your taxable income for the assessment year 2009-10 remains the same. Now, consider another scenario (exactly reverse of the above) where you’ve STCG of Rs 20,000 and negative LTCG (i.e., loss) of Rs 32,000. Now, your income under the head Capital Gains would be Rs 20,000 and accordingly Gross Total Income and Taxable Income also increases by the same amount. Why? Because while short term capital losses can be set off against long term capital gains, reverse is not true. Put simply, long term capital losses are not allowed to be set off against short term capital gains by virtue of section 70 of the IT Act. Therefore, you’ll have to pay tax on your short term capital gains of Rs 20,000, while your long term capital loss will be carried forward to the next assessment year. In next post I’ll describe how to calculate your tax liability. other net income of 15000 and l.t.c.g with indexation from sale of flat is 380660 so pl recommend tax liability. 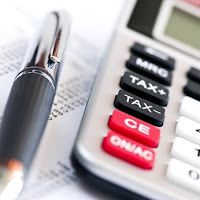 Tanuja: You can easily calculate it yourself with the help of “Tax Calculator: FY 2009-10” (click on the link given above the comment section). Just give it a try and if you face any difficulty in operating it, let me know.